Living with one of the most impressive panoramic backgrounds nature could create, along with the awe-inspiring, manmade Salt Lake temple rising out of the desert; you realize this is not a dream. You really live in Salt Lake City, Utah. Doing their very best to keep Salt Lake City, Utah fresh and bright is Jacketta Sweeping Service. This year marks their 50th anniversary keeping the area around Salt Lake swept and tidy. And that is no small feat since they have quite an impressive client list. Through the years, Jacketta Sweeping has worked on most major construction projects in the area including building the NSA Data Center and Vivent Smart Home Area (home to the Utah Jazz). In addition, they served as the construction sweeping contractor on several major interstate and airport infrastructure projects. You’re likely aware of the flooding that occurred in Ellicott City, outside of Baltimore, MD, over a weekend at the end of May 2018. Some areas were overcome with as much as 8 inches of rain in just a few hours on a Sunday evening. Hundreds of people had to be rescued from a rapidly rising river of brown water that rushed through Ellicott City’s historic Main Street. Buildings were toppled cars upended, as the nearby Patapsco River swelled to a record-breaking level. 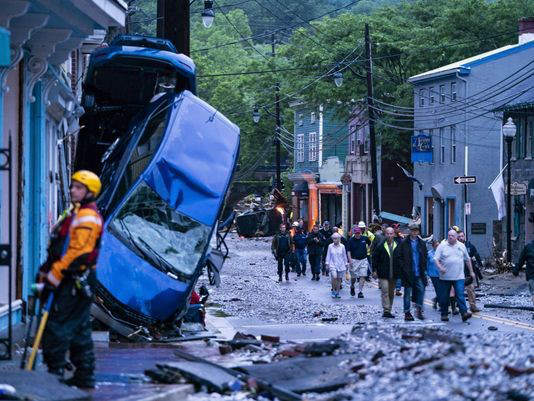 Likely less familiar than the recent photos and video of the devastation is the fact that a very similar path of destruction ran through Ellicott City in July 2016 – less than 2 years ago. An article in Stormwater magazine covered that event, which dropped 6.6 inches of rain in three hours on July 30, 2016. That storm and ensuing flood was termed at the time a “1,000-year” event. Government officials and residents alike are shocked that this same area has been hit twice in less than two years by floods many considered unimaginable. Early reports say this year’s damage to infrastructure is far worse than that caused by the 2016 flooding which caused $32 million in damages. 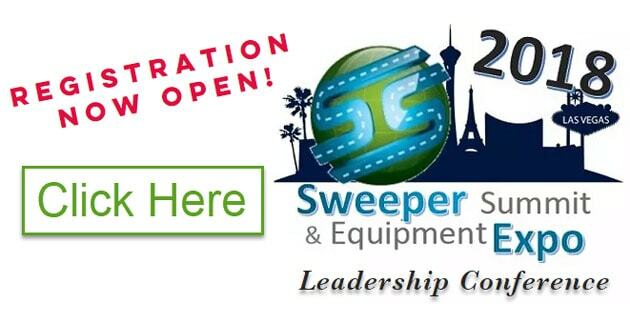 With hurricanes in Houston and Columbia, South Carolina, New Jersey and Florida still fresh in people minds, as well as wild fires in California, flooding in Wakegan, IL, and volcanic eruption in Hawaii, the question of how to prepare for the next major natural disaster occurs to many of our 1-800-SWEEPER Partners.